Branson Discount Condo Rentals~ GREAT RATES~GREAT SCENIC LOCATIONS! PT. .,~JUST 5 MINS. FROM THE STRIP! 18 Hole GOLF~INDOOR/OUTDOOR POOL, TENNIS, CLUBHOUSE, FITNESS CENTER, HIKING TRAILS, TROUT FISHING ON SITE & MORE! 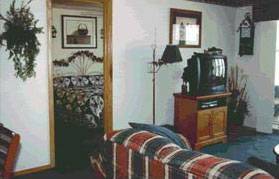 New carpet or laminate in all 3 units~BOTH PRIME BRANSON LOCATIONS!~ OZARK SCENERY,LUXURY CONDOS,GREAT LOCATIONS, BOTH GATED COMMUNITIES, ALL AT BY-OWNER RATES!! WHY PAY MORE,YOU CAN HAVE IT ALL...CALL NOW, LIMITED AVAILABILITY!!! EMERALD BAY LUXURY condos located on the "QUIET SIDE" of beautiful TABLE ROCK LAKE,a BOATERS PARADISE! On site boat ramp,BOAT SLIPS upon availability. On site, EMERALD PT. MARINA includes "FULL SERVICE BOATING FACILITIES", BOAT RENTALS, STORAGE,GAS,CONVENIENCE STORE too! NEW..60" FLAT SCREEN T.V IN ALL 3 CONDOS. Both TWO and THREE BEDROOM condos with "NO STEPS" are available. The two bedroom, two "FULL" bath, and the three bedroom/three "FULL" bath condo's with QUEEN SOFA SLEEPER Master bath has a JACUZZI TUB. 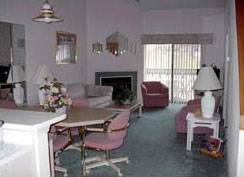 The condo's are beautifully decorated, Both 3 bed condo's have NEW LAMINATE & CARPET, screened/glass enclosed PORCHES with patio furniture which makes for extra dining and seating! The new BRANSON AIRPORT is just 10 minutes away! POINTE ROYALE LUXURY CONDOS~NEW INDOOR POOL/OUTDOOR POOL! BE SURE TO CHECK OUT OUR NEW BEAUTIFUL CLUBHOUSE/FITNESS ROOM/RESTAURANT/SNACK BAR/CONFERANCE/BANQUET ROOMS,!! The complex is surrounded by POINTE ROYALE'S beautiful CHAMPIONSHIP GOLF COURSE & LAKE TANEYCOMO trout fishing lake. Discounted rates for Golfers staying on site! NEW Hiking trails along Lake Taneycomo, wonderful walking/jogging area's throughout the complex. Luxury condos, and best yet, just THREE SHORT MILES TO "THE STRIP" known as the "hub of Branson attractions" & just minutes from SILVER DOLLAR CITY and other major attractions. POINTE ROYALE is nestled in the surroundings of Lake Taneycomo, yet is JUST 5 MINS. FROM TABLE ROCK LAKE/STATE PARK MARINA & MOON SHINE PUBLIC SWIM BEACH! Pt. 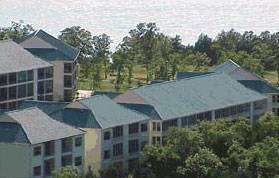 Royale is the "closest" condo to CHATEAU ON THE LAKE CONVENTION CENTER if you need luxury accommodations while on business! Enjoy "ALL THE COMFORTS OF HOME". TV's in family room, one in each bedroom. DVD,full kitchen/breakfast bar & dining area. MASTER BATH has double sink vanities and JACUZZI JETTED TUB! Luxury condos, view actual pictures of our rental condos available to see for your self!! 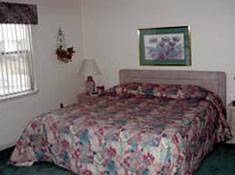 All condos have WASHER/DRYER plus all BEDDING/LINENS/SOAPS are provided! ALL CONDOS ARE NON-SMOKING/NO PETS units! **YOU CAN HAVE IT ALL!! LUXURY CONDOS,GREAT LOCATIONS,SOMETHING FOR EVERYONE! ALL AT GREAT "DISCOUNTED BY-OWNER RATES"!! EMERALD BAY -- GREAT BOATING & FISHING FACILITIES ON SITE!! BOAT SLIPS upon availability. Storage/COURTESY DOCK,EMERALD POINTE MARINA/GAS/BOAT RENTALS & convenience store! Tennis court use available. Luxury living on Scenic Table Rock Lake! MANY "WALK-IN" (NO STEPS!) units available! POINTE ROYALE~~NEW INDOOR POOL CLUB HOUSE/ RESTAURANT/BANQUET ROOMS & MORE!! Beautiful, Convenient, Roomy condos 2&3 Bedroom Condos available.THE PERFECT LOCATION~JUST 3 MILES FROM "THE STRIP" AND 5 MILES TO TABLE ROCK LAKE!! On site Pt. Royale CHAMPIONSHIP GOLF, TENNIS, TROUT FISHING, great areas for walking/jogging Trails, playground & more! On site restaurant & CLUBHOUSE FACILITIES FOR GROUPS!! Most main Branson attractions, the LANDING (shopping/dining), shows, Silver Dollar City, shopping, outlet malls, are just 5-15 mins. away, along with the new BRANSON AIRPORT approx. 10 mins. away, just off HWY 65 ! Cancellations and Refunds: INQUIRE..about details.